Samsung launched Galaxy J5 Prime and Galaxy J7 Prime in India with Fingerprint Scanner on the Home button. 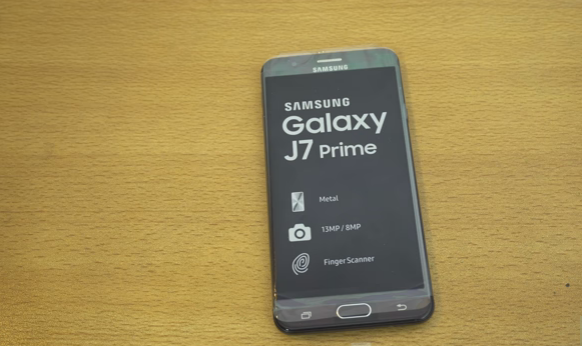 Here's How to Setup Fingerprint scanner and Functions on Galaxy J5 Prime, J7 Prime, and Galaxy OnNXT. Samsung Galaxy J7 Prime has a 5.5-inch Full HD Display with 2.5D Curved Gorilla Glass 4 powered by a 1.6GHz octa-core Exynos 7870 coupled with 3GB of RAM and 16GB of internal storage which is further expandable with MicroSD card.Dual SIM device runs on Android 6.0.1 Marshmallow and comes with Fingerprint Scanner built in Home button. On Camera, it has a 13MP rear camera with LED Flash and 8MP front facing camera. Connectivity options include dual-SIM 4G LTE support, WiFi, GPS with GLONASS. S-Bike mode Packed by a 3300mAh Battery. There is no App lock using fingerprint Scanner on these phone but users can use third party App lock feature. Above setps works on Galaxy J5 Prime, Galaxy J7 Prime, Galaxy OnNXT smartphones.